Glyndebourne, founded in 1934 by John Christie and his opera singer wife, Audrey Mildmay, is committed to presenting opera of the highest quality, commissioning new work, developing new talent and reaching new audiences. The Jerwood Young Singers is a vital part of Glyndebourne's commitment to nurturing talented young singers. 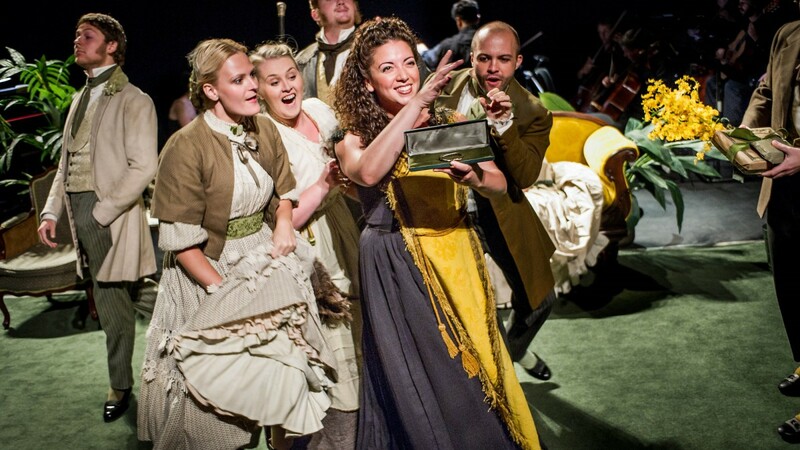 Each year Glyndebourne identifies three promising future soloists from the chorus to become the Jerwood Young Artists. They receive additional performance and training opportunities each year. With the assistance of Steven Naylor, Director of Artistic Administration, each Jerwood Young Artist creates a bespoke programme tailored to their development needs. This typically includes: a small role and an understudy role on a main Glyndebourne Festival production;vocal and language coaching; mentoring with selected principal singers; repertoire and career advice; and stagecraft training with assistant directors. The Jerwood Young Artists for 2018 are: Michael Mofidian, Jake Muffett, Ida Ränzlöv, William Thomas and Nardus Williams.